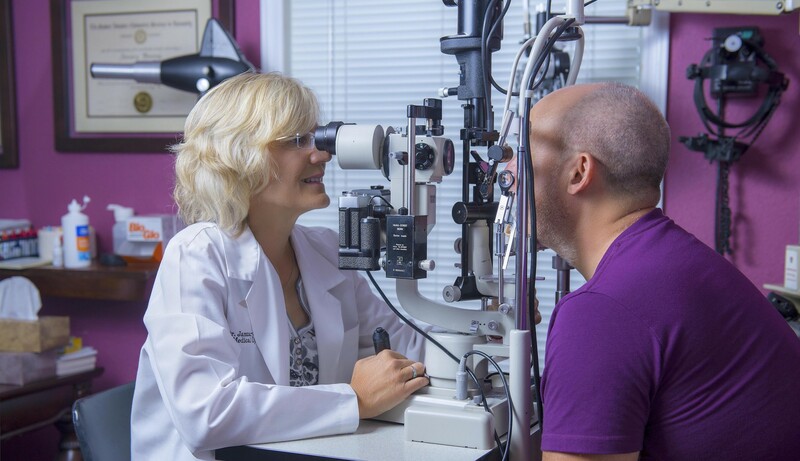 Once Dr. Moennig completes your exam, Karrie, our optician, will help you select frames, lenses and lens coatings that fit your lifestyle. At your delivery appointment, we’ll make any custom adjustments necessary for your perfect fit. Come visit our eye wear showroom. Look at our stunning collection of the latest designer frames as well as an excellent collection of familiar classics. We can help you find just the perfect fit frame for you. There is a new technology in contact lenses recently developed with materials designed to improve vision and comfort for dry eyed patients or patients who have not been previously successful with contact lens wear. These materials, called silcone-hydrogels, are available in three different products.We have had close to an 80% success rate with previous drop out contact lens wearers. With dry eye there are also underlying allergies that can cause contact lenses to be chronically irritating. For this type of problem we recommend a non-preservative contact lens solution. Please call us today if you have any questions or would like more information; we’re always here to help. What can I do if I suffer from dry & itchy eyes? What is the difference between polarized sunglasses and just sunglasses? How is wet age-related macular degeneration treated?